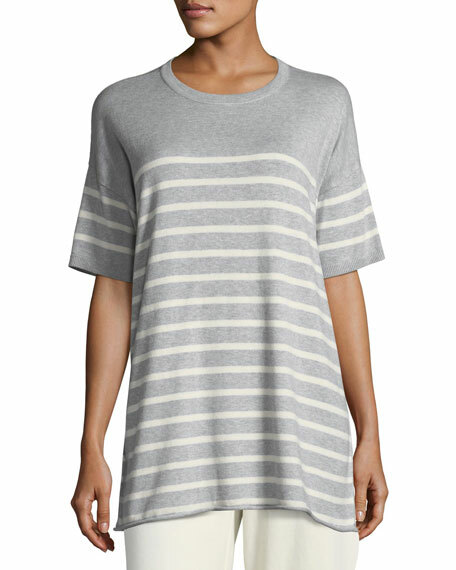 Eileen Fisher striped organic Peruvian cotton knit tunic. 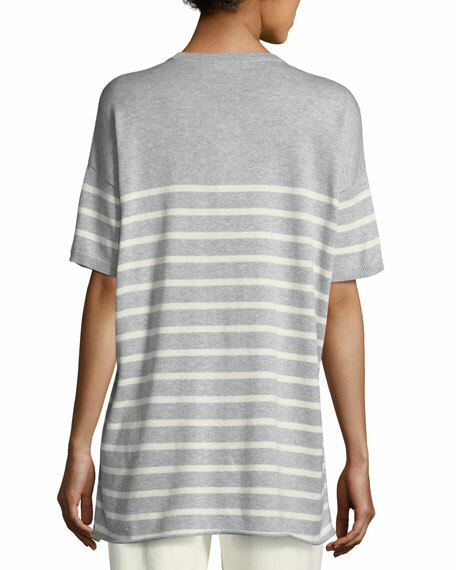 Ribbed trim at neckline and cuffs. For in-store inquiries, use sku #2272475.